Note: Some train companies, mentioned in this post, have since ended their franchises, now being run by other companies. The day began by catching the 04:04 First Transpennine Express service from Manchester Piccadilly to Doncaster – a rather quiet service at that time of morning. The train first called at Sheffield (without stopping at Stockport), before reaching its final destination of Doncaster, in South Yorkshire. I had an almost two hour wait before the connecting train to Barnetby, Lincolnshire. Doncaster is located on the busy East Coast Mainline (ECML), which runs from London King’s Cross to Glasgow Central. These services are operated by GNER – Great North Eastern Railway. 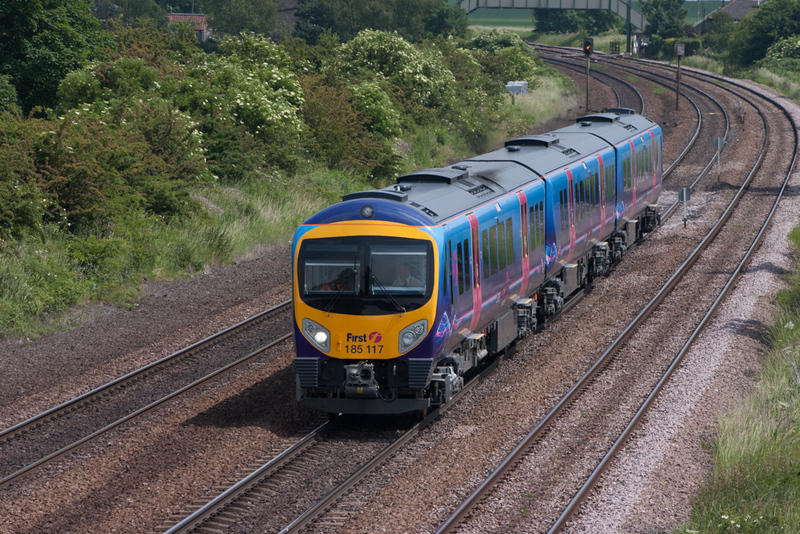 As well as seeing passenger traffic between London and Glasgow, several other lines converge and diverge at Doncaster – which are operated by Northern Rail, Virgin Trains, Central Trains, and Hull Trains. Connections can be made for Manchester, Leeds, Hull, Cleethorpes, and many other destinations. Added to that, there’s also a bit of freight traffic present. As a result, this makes it a rather busy location. The following photographs were taken at Doncaster, whilst awaiting for my connecting service to Barnetby. I then caught the 07:24 First Transpennine Express service to Barnetby (which was running a few minutes late). After a station stop at Scunthorpe, I arrived at Barnetby at around 0810. Barnetby has two island platforms, but most traffic passes through the middle two. 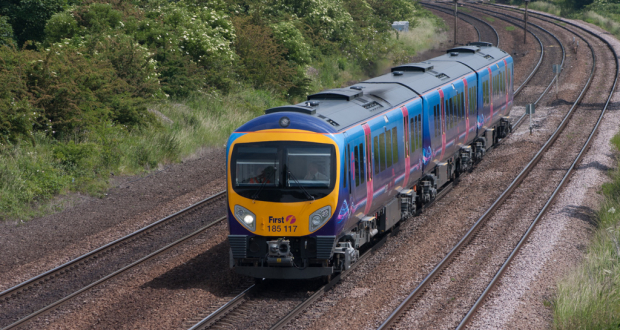 Passenger services are operated by First Transpennine Express and Central Trains. There’s generally around two passenger services, each way, every hour. Freight, however, is plentiful. Barnetby is one of the UK’s best ‘hot spots’ for freight traffic. It’s not unusual to see a freight train every ten minutes during the peak periods. During quieter periods, there are usually around two or three every hour. The bulk of the traffic is coal and iron ore, which run to and from the docks at Immingham. However, there’s other freight traffic as well. The majority of the traffic is hauled by EWS – English, Welsh & Scottish Railway. But a number of services are operated by the other major freight operator, Freightliner. The station platforms and footbridge are a couple of the best areas to see some major freight action. The following photographs were taken at Barnetby station, a location that still has a lot of semaphore signalling. After spending about an hour and a half at the station, I left and walked about 15 minutes east to the top of a small hill. It required passing under the railway line and turning left, following a path which is generally overgrown and muddy in parts. On top of the hill, one has a panoramic view of the railway line below – as long as you’re willing to share the field with a dozen or so horses. After walking further east, through another field, I jumped the fence (even though private land, it’s publicly accessible) and turned left down the road to come to a bridge which crosses the railway line. This bridge is commonly called Knabbs Bridge. This bridge gives fairly good views, in either direction, along the line. As a result, it’s good for taking photographs from. After an hour or so at the bridge, I decided to head back to Barnetby station – but not before grabbing something to eat and drink at the Flute & Whistle, a pub which is located next to the station. The first decent meal of fish and chips (with lemon!) I’ve had, since moving to the UK almost three and a half years ago. By 15:00, I decided to call it a day and catch the next First Transpennine Express service back to Manchester Piccadilly. Summary: As mentioned at the beginning of this report, the Barnetby area is a hot spot for freight action. It’s easily reached by train. As well as the pub by the station, there’s a general store and post office, a short walk away, from which you can buy supplies to last you throughout the day. Be mindful that, if you venture away from the village, you have plenty of drinking water during the summer months. There are other locations, in the Barnetby area, where you can watch and photograph trains. They require a little more walking to get to. But the ones above are the most reachable. Certainly a good day of trainspotting. Lots of trains, and well done on the photos. Very tastefully done since I suppose some of the trains were moving while you took them, and it isn’t easy to capture moving objects at times. It is interesting to note the trains have splashes of bright colour around them. Thanks for the comment! Yes, most were moving – with the exception of a few at Doncaster. Trains in the UK, and Europe in general, usually have colour all over. British trains also all have the yellow front (with the exception of steam locomotives). This is mandatory for all British trains as it increases their visibility. It’s a specific yellow too. Really good photos and lovely countryside behind some of them.